From the Emporio Armani jewellery collection, this bold necklace is designed to make a style statement. 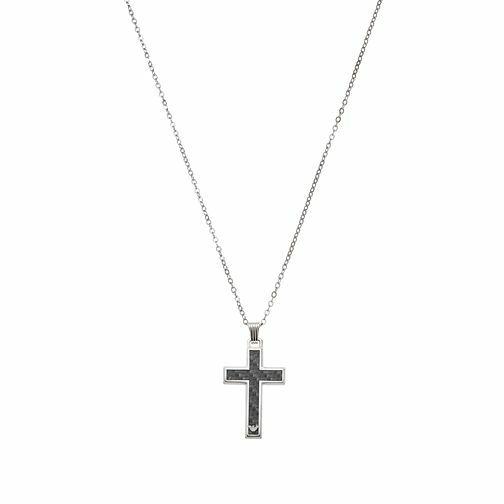 Crafted in stainless steel and featuring a carbon fibre detailed crucifix with Armani logo branding, this masculine piece is the ideal gift for him. Emporio Armani Men's Steel & Carbon Fibre Cross Necklace is rated 5.0 out of 5 by 2.